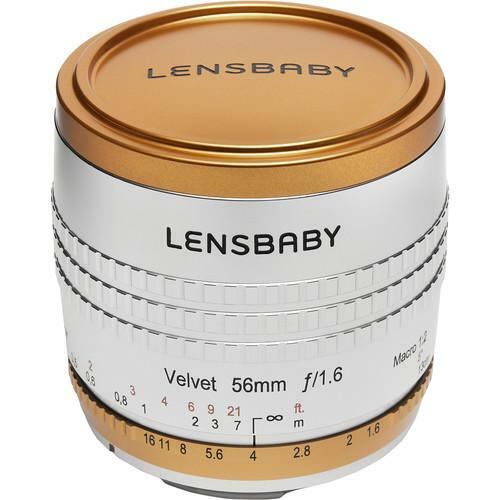 We recommend checking out our discussion threads on the Lensbaby Velvet 56mm f/1.6 Limited Edition Lens LBV56LEDC, which address similar problems with connecting and setting up SLR Lenses Lensbaby. 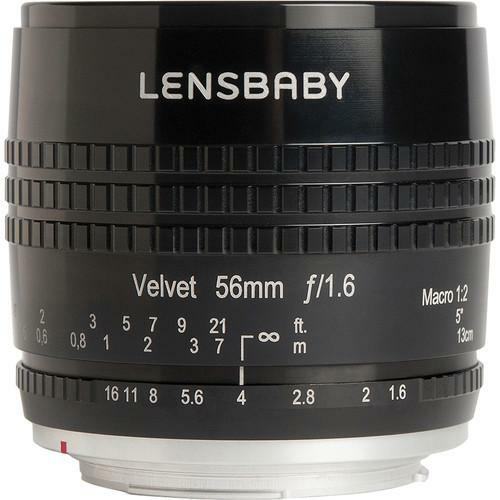 The user manual for the Lensbaby Velvet 56mm f/1.6 Limited Edition Lens LBV56LEDC provides necessary instructions for the proper use of the product Photography - Lenses - SLR Lenses. Reminiscent of classic 20th century lenses, the Canon EF mount Velvet 56mm f/1.6 Limited Edition Lens from Lensbaby produces a uniquely soft, glowing image quality that is well-suited to making expressive and ethereal portraits. The overall softness can be controlled by stopping down the lens while still retaining the smooth tonality of a soft focus lens. Compatible with full-frame image sensors, this slightly longer-than-normal focal length pairs with the fast f/1.6 maximum aperture to excel in difficult lighting and achieve a shallow depth of field with controllable sharpness. Additionally, for increased creative versatility, the lens also offers a 1:2 maximum magnification and a minimum working distance of 5" for macro shooting. Housed within a silver metal barrel with copper-anodized accents, this lens also features smooth, dampened manual focus control to further benefit creative flexibility. Consistent with Lensbaby's aim of purveying selective focus capabilities and a unique velvety image quality, the Velvet 56mm f/1.6 is a versatile tool that marries classical looks with contemporary control. Additionally, this Limited Edition comes packaged in a hand-crafted wooden box made in the USA. If you own a Lensbaby slr lenses and have a user manual in electronic form, you can upload it to this website using the link on the right side of the screen. Box Dimensions (LxWxH) 6.9 x 5.4 x 4.9"
The user manual for the Lensbaby Velvet 56mm f/1.6 Limited Edition Lens LBV56LEDC can be downloaded in .pdf format if it did not come with your new slr lenses, although the seller is required to supply one. It is also quite common that customers throw out the user manual with the box, or put the CD away somewhere and then can’t find it. That’s why we and other Lensbaby users keep a unique electronic library for Lensbaby slr lensess, where you can use our link to download the user manual for the Lensbaby Velvet 56mm f/1.6 Limited Edition Lens LBV56LEDC. 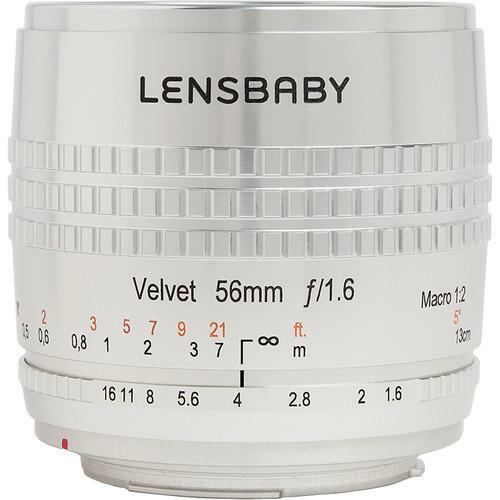 The user manual lists all of the functions of the Lensbaby Velvet 56mm f/1.6 Limited Edition Lens LBV56LEDC, all the basic and advanced features and tells you how to use the slr lenses. The manual also provides troubleshooting for common problems. Even greater detail is provided by the service manual, which is not typically shipped with the product, but which can often be downloaded from Lensbaby service. If you want to help expand our database, you can upload a link to this website to download a user manual or service manual, ideally in .pdf format. These pages are created by you – users of the Lensbaby Velvet 56mm f/1.6 Limited Edition Lens LBV56LEDC. User manuals are also available on the Lensbaby website under Photography - Lenses - SLR Lenses.